Many writers fade with fashion . . . a favorite writer will last forever. Last year my friend Sue vacationed in Sedona, Arizona. She enjoys shopping through the quaint shops, visiting with talented artists, and having lunch at the local café. When Sue returned to Ohio, she gifted me with a signed copy of A Cowboy Christmas An American Tale. The author, Tom Van Dyke, is a dynamic writer, casting charismatic characters in dramatic scenarios; a great book for everyone and highly recommended reading (it makes a great gift, too!). 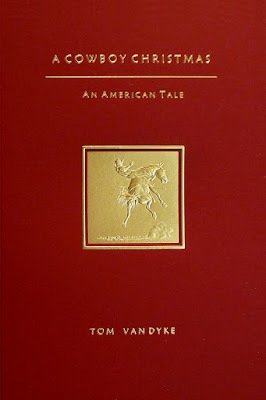 GM: What was your inspiration for writing A Cowboy Christmas An American Tale? TVD: As a child I’ve always admired the Western lifestyle. I grew up watching TV Westerns: The Lone Ranger, Wanted Dead or Alive, Have Gun will Travel, Maverick. 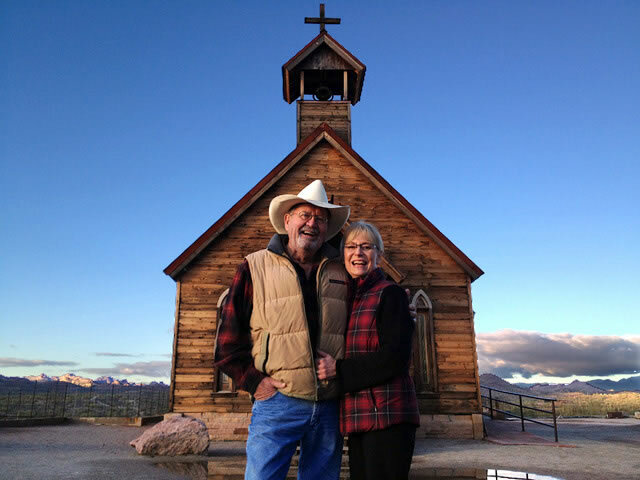 I was inspired to write the tale when our family was sitting around a Christmas fire on our adobe ranch in the foothills of Tonto National Forest in Cave Creek, Arizona. In the flickering light on a cholla cactus decorated with cowboy boots -- the boots appeared to be dancing, we were enjoying the moment when my sons asked me what I thought it would be like to be a cowboy 150 years ago on the ranch. GM: How much of your life experience is woven into the storyline? TVD: All of my imagination was present… my youth was spent in the practice and pursuit of fine art: painting, sculpture and photography. I appreciated the master works of Frederic Remington, Charles Russell, N.C. Wyeth, Maynard Dixon, and Howard Terpning . . . the Vanishing Race photography of Edward Curtis. All powerful statements about the West -- a magnificent landscape filled with challenging adventures and thrilling characters -- doing the things I wanted to do. 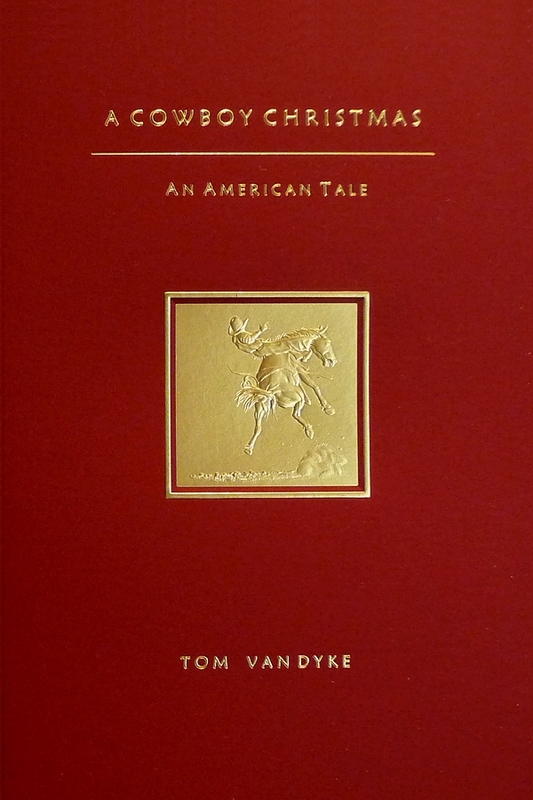 A Cowboy Christmas An American Tale… there was so much I wanted to say in this book. All the things I imagined about the land, the people, their ways, and spirit, what it took to survive…. and of course, the American icon - the Cowboy. GM: WB is a charismatic character. Is he a mirror of a real-life cowboy, someone you know? TVD: WB is somebody living the imagined life I very much admired. A fearless life -- an adventure charging into the wind in a land bigger and more beautiful than any dream. A young man with hopes and dreams, struggling to survive -- overcoming the obstacles of life to achieve his goals and become the man I imagined. I wanted WB to discover who he was and like what he finds. TVD: Everyone has their own vision of a cowboy…. I am a cowboy in mind, manner, and spirit, happy to ride the high points and ridges of my imagination…. I wanted to write a story about cowboys who burned themselves like candles for experiences worth living and values that created strength and revealed character. A story as enduring as the spirit of the West. GM: What is your writing history? I know you were a screenplay writer…. TVD: Upon receiving my MFA (visual arts) from the Cranbrook Academy of Art, I became very interested in motion picture production. An art form that combined all the elements of art: light, color, action, sound, acting, music, dance, and the writing of scripts.… A motion picture starts with an inspired idea. Thoughts develop and a script is written -- a film rises or falls on the pages of the script…. In the beginning I felt like a carpenter. Cut, saw, paste, rearranging thoughts with words sanding them down, polishing, rearranging with multiple edits of what was supposed to be a simple expression. Gradually I evolved as a screenwriter in order to produce inspiring motion pictures. Along the way I created and wrote the American Bicentennial television public service announcements, Stand Up and Be Counted, featuring John Denver, the most widely viewed national and international PSAs in the history of television. Another one of my films, a docudrama: Are You Talking To Me? was considered for nomination of an Academy Award. GM: Congratulations on your great success! Your creative endeavors continue to shine. Let's talk about your writing style. How do you maintain thoughts and ideas? TVD: Everyone has their own writing style. Mine is based on imagination. Life is my pallet -- a composite of what I experience in daily life. I am pleased and admire the beauty in small things. My imagination is boundless and I write all the time, anywhere I’m at. When I have an idea, I write it down on a napkin, a scrap of paper…. I write early morning until about noon, have lunch, and revise in the afternoon. Working a blank canvas or a white sheet of paper, other than obvious construction of the story, I am constantly surprised with narrative details, plot twists, actions of characters and what’s coming out of their mouths. As the writer, if I’m not surprised, how can I expect the reader to be surprised, and maintain the creative tension and drama of their reading experience? GM: Do you research and investigate to come up with ideas and scenarios? TVD: A Cowboy Christmas An American Tale, I imagine had be percolating in my head for years just waiting for the right moment to boil and turn vapor into ink on paper. The storyline for this tale began when I leafed through tattered pages of hand-written dusty journals and wandered museums admiring masterworks of western artists. 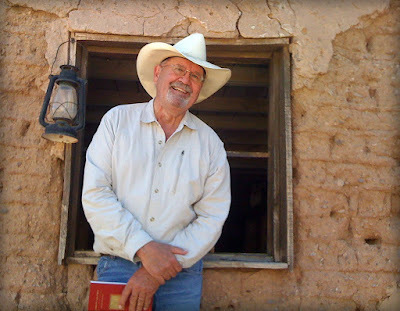 I looked beyond the golden frames as windows into America’s past and imagined what the restless spirit of the West was like one hundred and fifty years ago for cowboys on the American frontier when it was thought to be as far away as the moon….
. . . I have written documentaries that evolved out of my concern and interest in public education and health. I gather most of my research from practical investigation and personal interviews. I believe information is best served up on the platter of entertainment. GM: Describe your writing process…. TVD: The writing process for me is sitting down every day and writing…. A writer uses their creative ability to fully mine the levels of our existence -- a wonderment of imagination forming a communal bond of writer and reader. A storyteller opens the door through inspired thought -- the alloy of the mind -- a galaxy of perception with an endless vault of words. A craftsman energizing their pen from the marrow of their creative thought. They begin a profound bond between reader and writer forging inspired exploration of the best kind . . . a work authentically rendered is truly a gift of full-circle. GM: Who is your favorite author? Why? TVD: I have many favorites: Books are where words live. I read to discover if anybody’s home. Many writers fade with fashion…a good writer will last forever. I really admire the work of Charles Frazier. He is organic to the roots of his being. Three doors I have opened recently and reviewed for the December, 2017 issue of True West magazine. Lewis, a turn of the century cowboy, attorney, and storyteller, lifts his narrative above the common herd with unique degenerates and faulted players with smart, hilarious dialogue. A collection of short stories with slang lingo and unique spellings requiring the reader to slow down: “For myse’f I shuns all sech.” A participant and an observer in real time, Lewis presents a proper introduction to the dandyism of the cowboy. “Your cowboy at that time was a person of thrill and consequence pinched between wire and the farm.” His talent for heady thoughts and pure observation go beyond the picturesque and romantic with vivid descriptive passages - a harbinger of today’s graphic novels. Thirteen Moons (Charles Frazier – Random House – 2006): Gone full circle - feeling the machinery of the 20th century: automobiles and the Edison music machine - in the winter season of Will’s life: “My future behind me, I let gravity take me into the bed. Practicing for the Nightland.” Bound and obliged at the age of twelve; an observer resistant to the removal of the Cherokee and their retreat farther and farther into the mountains; the unwavering love of a girl he won in a card game; and the always pressing expansion forces of Washington. The authentic prose of a brilliant and gifted writer of depth and insight splays a forging work of transition and spiritual discovery along the Mississippi on the farthest edge of the United States of America. As Edna Ferber points out in the Forward, “Only the more fantastic and improbable events contained in the book are true.” A sage fiction of engaging events and thrilling characters, Cimarron sits on the highest shelf of my western library. TVD: News of the World by Paulette Jiles. TVD: An electric story of invention in America - 1930’s. TVD: We are all born creative - made of the same stuff. Whether we choose to explore our imaginations or follow the herd is up to each and every one of us. The visual arts where I began - painting, sculpture, photography, film, then writing, are all acquired skills that require time, practice, and dedication. Everyone has the potential to be a writer and so can you - you have a unique voice. Writing is an adventure worth exploring for yourself. Discover your authentic voice, what you are capable of imagining, written in your own words. And while you are writing - read…. Read everything. Expand your horizon. Open up your mind. Feed your creativeness. You will be amazed . . . and I will be looking forward to reading your good work in the future. TVD: I have had the privilege to meet many western authors and become friends with Elmore Leonard, novelist and Michael Blake, the author of Dances with Wolves. I was very gratified that they wrote praise lines for A Cowboy Christmas An American Tale. 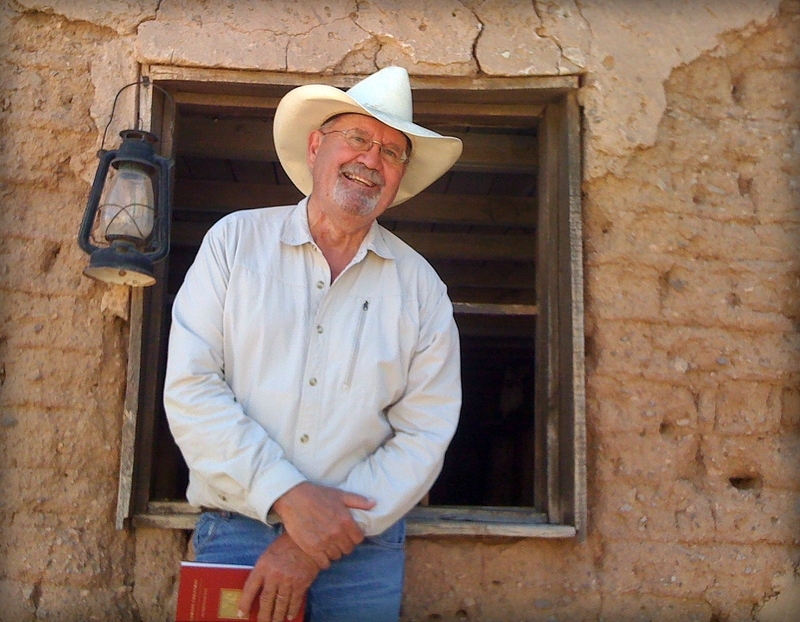 Howard Terpning, western narrative painter also wrote a praise line for the book. I am pleased the book is available at the Booth Western Art Museum in Cartersville, Georgia, and most every western museum in America. And, I was amazed at the invitation to come to the Flying D Ranch in Bozeman, Montana and see the West from horseback. It truly was an experience bigger and more beautiful than any dream… I was a cowboy!